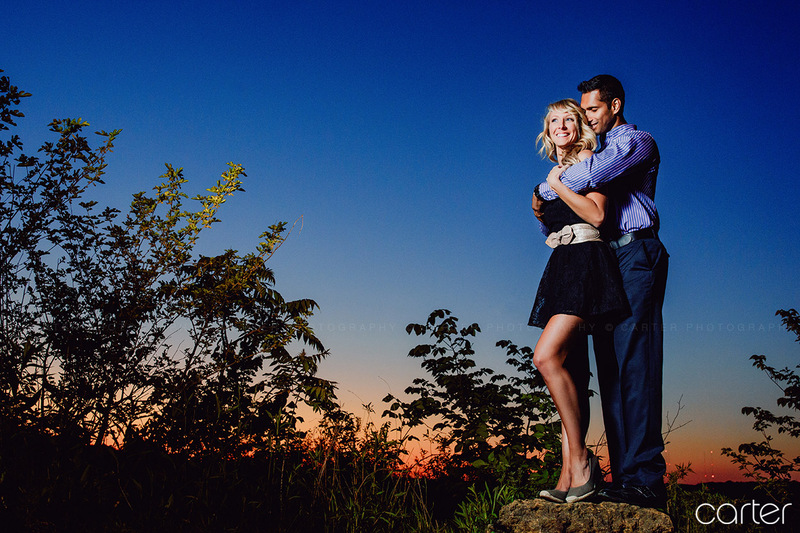 I made the trek to Dubuque with Sam and Emily for a beautiful evening of engagement photos. In fact, I kept telling them it was almost too beautiful. We had a lot of opportunities to shoot wide, environmental shots that featured a lot of the sky, and it was nothing but perfect blue! No clouds at all to add any visual interest!! I know, I know, I shouldn’t complain about 70 and sunny, especially when everything else was equally as lovely, including the results. It’s clear that these two are madly in love and they were very easy to shoot, despite Emily’s claim of awkwardness beforehand. Relax, you guys are great!